Locality: Suriname. Paramaribo Distr. In vicinitate urbis Paramaribo. Description: A common floating aquatic, rooting in mud; flowers pm short pedicels above the surface; pentamerous, white; petals fuzzy; base of segments and corolla tube lemon-colored with yellow hairs; anthers olivaceous. Habitat: Ditch on the SW outskirts of the city; very shallow, muddy water. 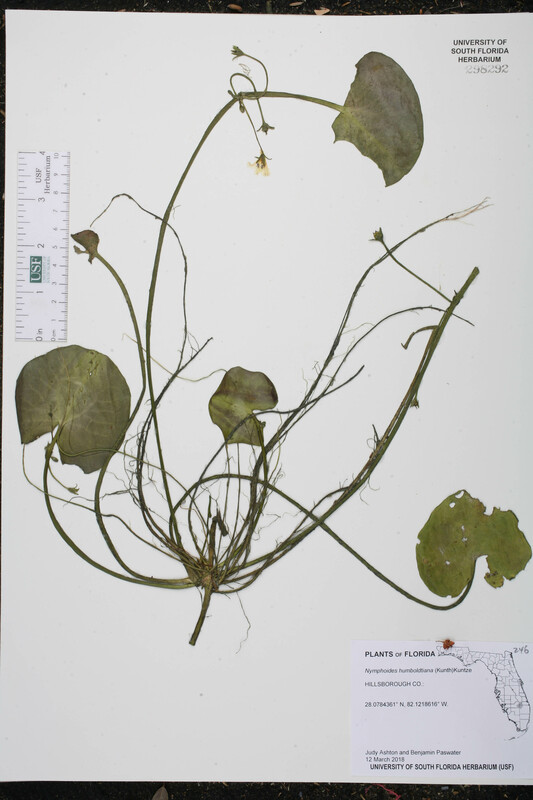 Description: Plants floating, rooted to substrate, not in flower when removed from the lake, cultivated in Lafayette, LA until flowers developed in Sep 2017; leaves heart-shaped, green with purple-brown markings, 3-5 cm across, thin and smooth on underside; flowers white with yellow center, petals fringed, stamens dark. 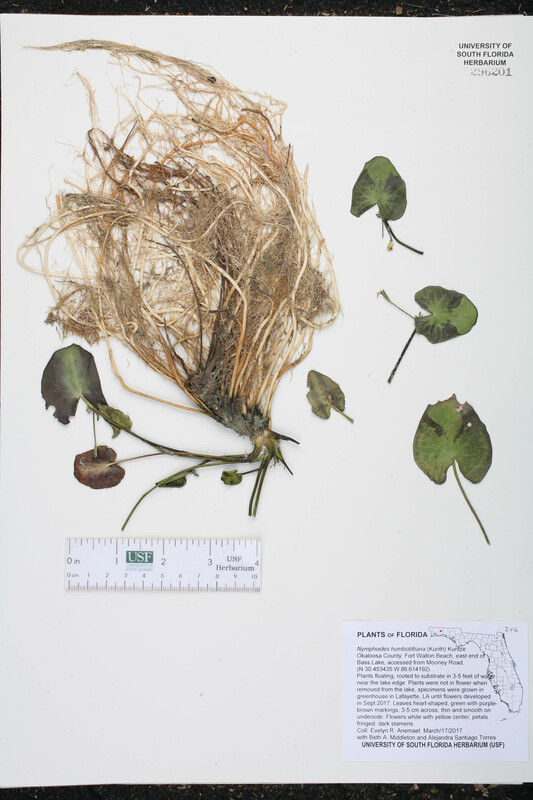 Habitat: 3-5 ft. of water near the lake edge. 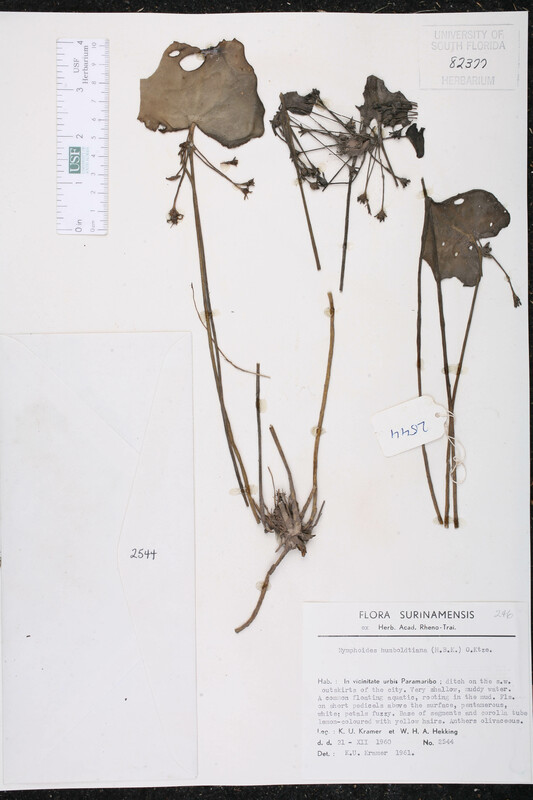 Collector: E. R. Anemaet s.n.